The Rev. Dr. Ed Young, pastor of Second Baptist Church, Houston, proclaims the truth of God's word. Both union and non-union employees have a right to act for the purpose of "mutual aid or protection"
Carrying signs that included a mocking use of the company's original "Don't be evil" motto, thousands of Google employees around the world briefly walked off the job Thursday to protest what they said was the tech giant's mishandling of sexual misconduct allegations against executives. Anoushah Rasta reports. 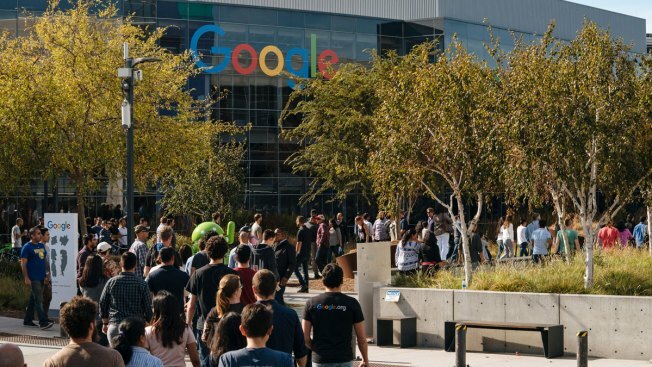 Google employees may find safety in numbers after staging a worldwide walkout on Thursday — but they could be surprised to learn that it’s not the First Amendment that would protect them from corporate discipline. The First Amendment to the United States Constitution prevents the government from abridging the freedom of speech, NBC News reported. Employees of private companies are often “at will,” which means they can be terminated for no cause. A person's free speech rights under the federal and state constitutions are not infringed unless there is state action. Still, this does not mean the Google employees are completely unprotected or that they can be fired for their walkout. The law makes it an unfair labor practice for the employer to interfere with or restrain employees in the exercise of these guaranteed rights. Both union and non-union employees have a right to act for the purpose of "mutual aid or protection." This includes efforts to improve their conditions of employment, even if they use methods outside the immediate employee-employer relationship.